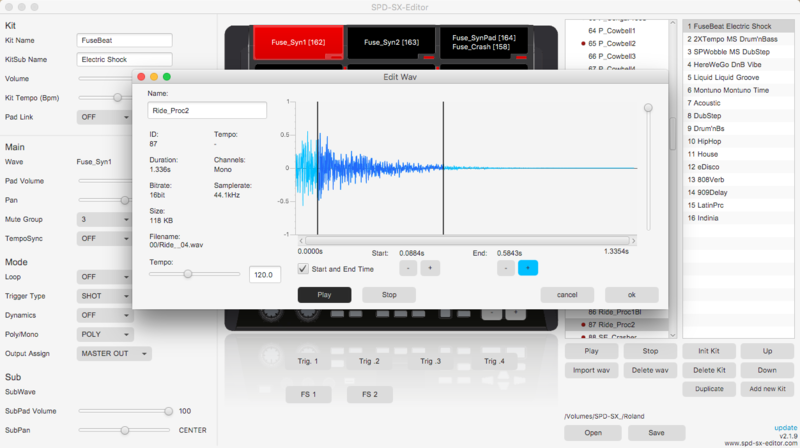 Download and install the SPD-SX-Editor on your Computer. Open the application. Your Computer-ID is displayed. 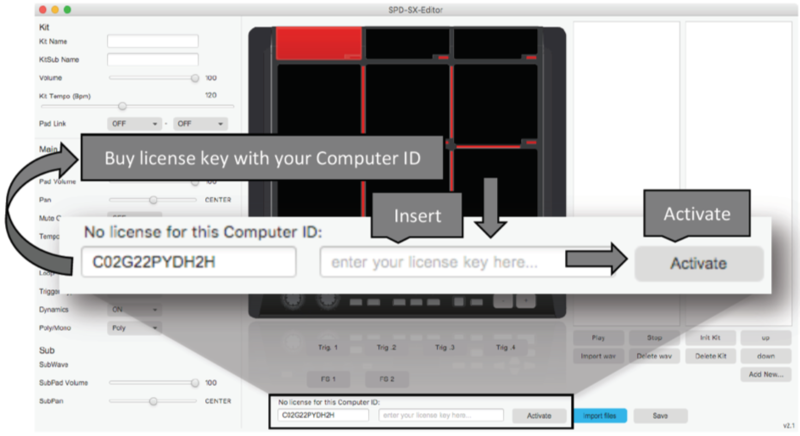 Buy an SPD-SX-Editor license and enter your Computer-ID. You will receive the license key by email. Copy the license key, which you have received by email, into the application and press activate. If you buy this product, you will apply for a license key to use all function of the SPD-SX-Editor software. After payment, you will receive your license key by email. Your in the installed application showed Computer-ID is required to get the a license key. Please be aware that this is not a drumcomputer software, nor a plugin, and as such, shouldn't be of any use to those not owning a Roland SPD-SX Sampling Pad. This is a license key for the SPD-SX-Editor. The Software is a program to organise your Roland Sampling Pad SPD-SX. Download first your program to get the Computer-ID.